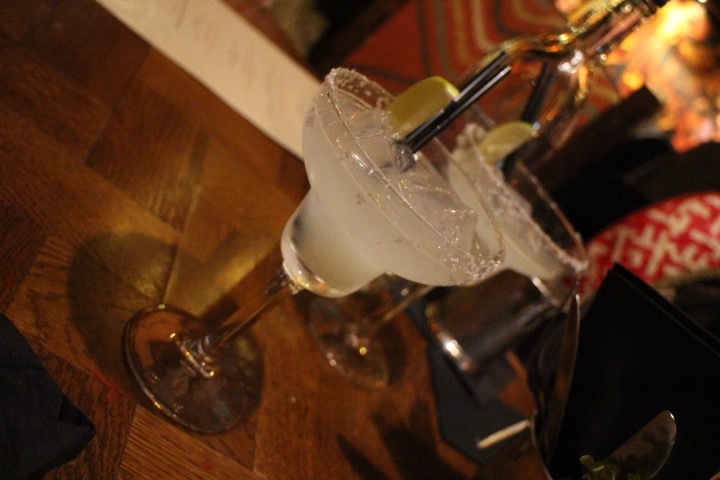 Chiquito has been around for the last 20 years, one of the largest tex mex restaurants across the UK. Inspired by the Texas borders to Mexico, you can expect full bodied flavours, food ranging from fajitas, juicy burgers, street food tacos, salads and steaks. From small bites to mains dishes and tasty cocktails to match the food. The very first time I ever went was when of my best friends treated me to dinner at the Leicester Square back when we were both in University. I still remember the taste of the food after all these years. 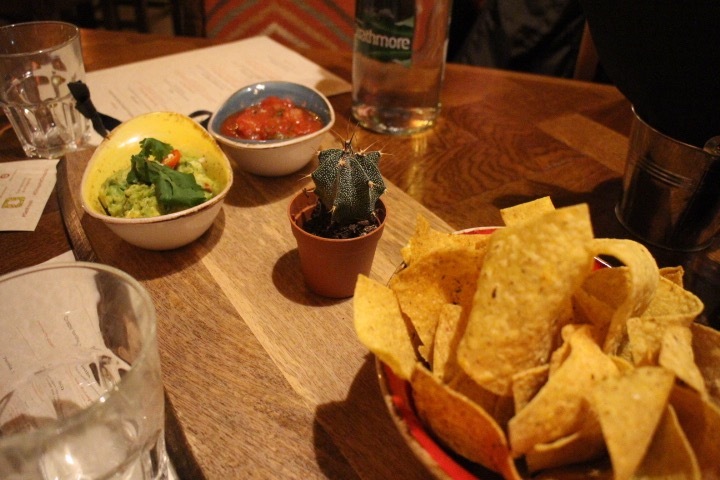 Fresh ingredients are key for Chiquito, sizzling hot cast plates to my table with meat still cooking on the plate. I loved the freshness of the ingredients and tenderness of the chicken. So when I got an invite to come down to Chiquito to check out the new street food menu I said, “hell to the yeah”. Taken inspiration from the markets of Mexico these new small plates called antojitos are perfect to share amongst friends. Chiquito was very accommodating for my friend who has a lot of dietary requirements because of her religion and culture. 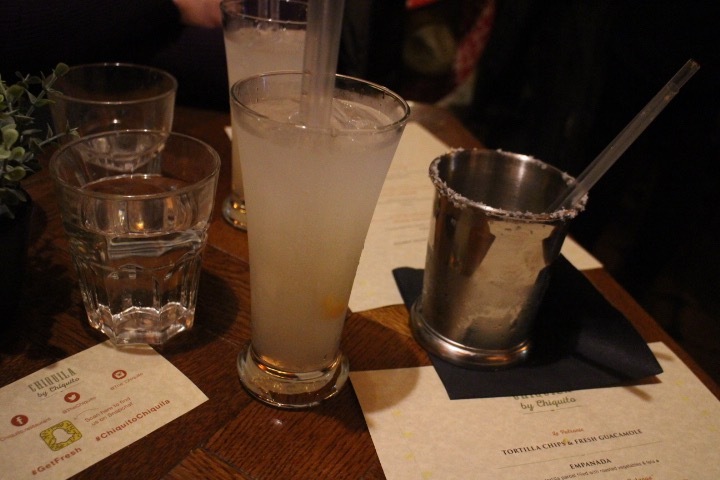 Chiquito swapped out ingredients so that my friend can indulge in tasty alternatives. 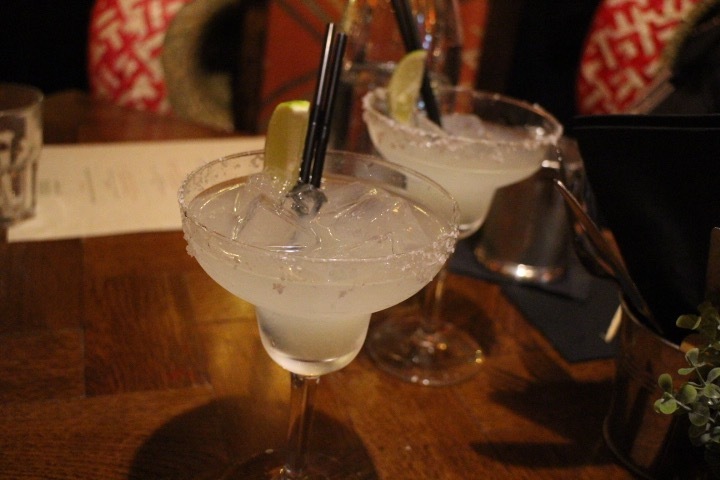 We started the night with a welcome drink, wearing our Mexican hats and some hand cut tortilla chips with fresh salsa and guacamole. 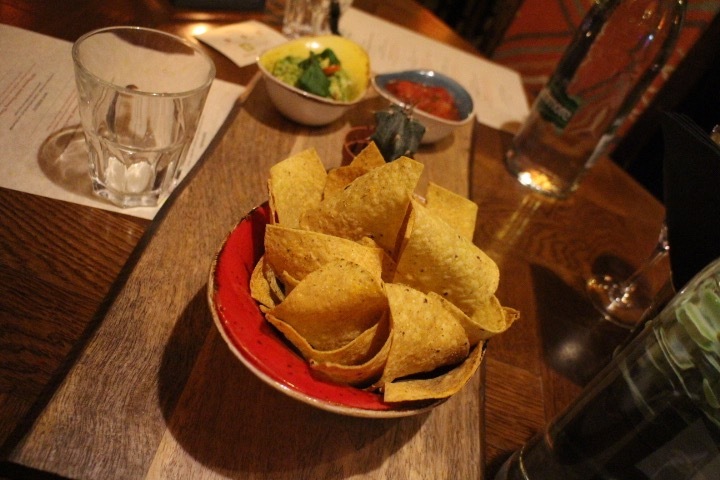 The chips are made by Chiquito themselves hand cut, fried and seasoned. 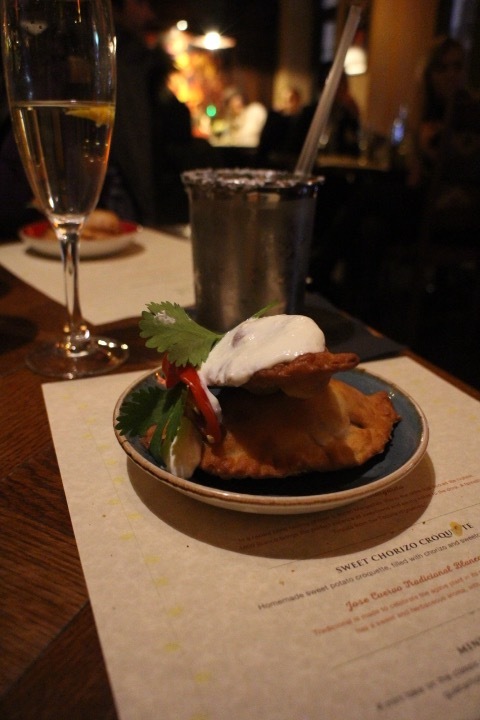 The first moreish dish was the empanada, a crispy parcel filled with melting feta and vegetables, followed with a gran centenrio plata balanga cocktail. The favourite of the night for me had to be the taco. 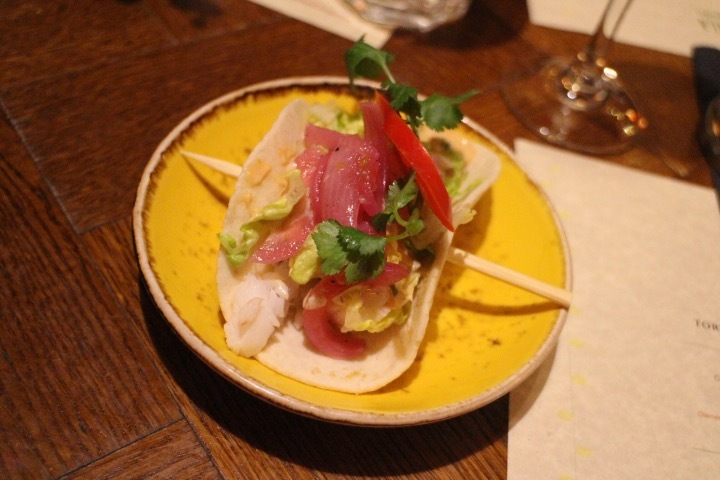 A mini tortilla wrap filled with this creamy chipotle cod loin, crispy baby gem lettuce and sweet pink onions. It delighted in every way, tasty fresh buttery bite size fish, creamy zesty sauce garnished with herbs. An 1800 classic margarita was paired with this dish. Next up sweet chorizo croquette, another bitesize dish. 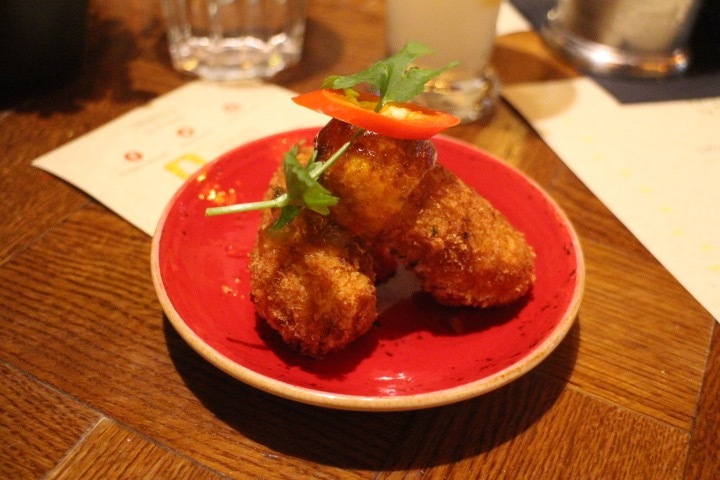 Small breaded fried roll filled with chorizo and sweetcorn with a jalapeno jelly. The chorizo didn’t really stand out in this dish, the sweetcorn overtook the flavour, the jelly part was nice and sweet. 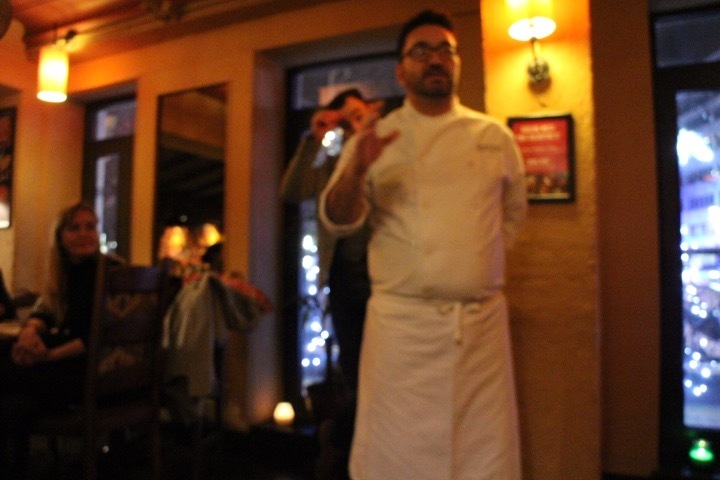 This dish was paired with Jose Cueva blanco paloma. Lucky for us the next dish the burrito came in a miniature form. Usually, I wouldn’t be able to finish a normal size one let alone eat it for dinner plus other courses. Chiquito mini burrito was delish, tender chicken pieces, mushy black beans, guacamole, tomato salsa and sour cream. 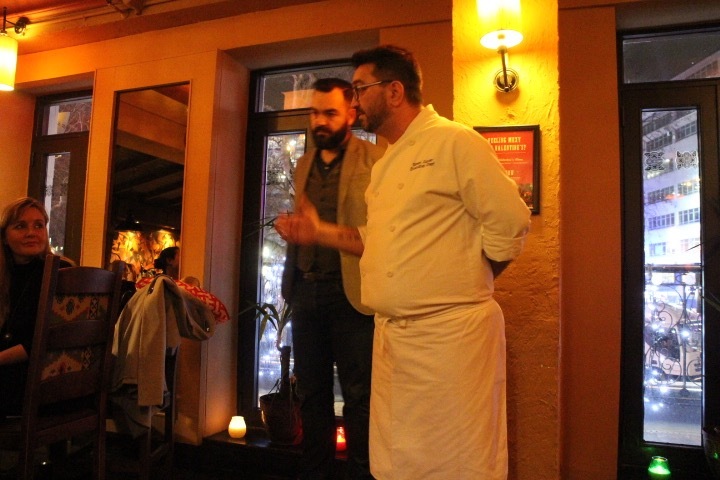 The dish was paired with a smoked rosemary margarita. 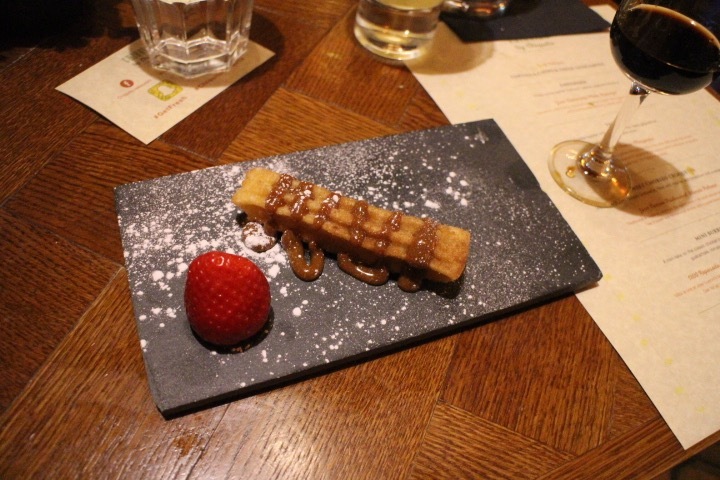 Lastly, the chocolate churros complimented the evening, dipping the churros in a pot of chocolate tequila. The new street food menu at Chiquito comes at a bargain of either 3 for £12.95 or 6 for £23.95.